Hong Tai was established by Mr. Wen Ho Liu. He was engaged in the business with sewing machine parts and assembly since 1971 and established HONG TAI formally in 1988. 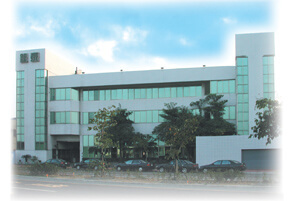 As the computer industry quickly grew up in 1980s, Hong Tai Precision started to manufacture computer peripheral parts. With experienced engineers and advanced management, no self-limited work philosophy, Hong Tai Precision started to manufacture Automobile parts in 1995. After getting ISO 9002 Certificate in 1996, QS 9000 Certificate was issued to Hong Tai Precision in 1999. "Zero defect" becomes Hong Tai's quality goal. ISO 13485 Certificate on 2014. In 1999, for serving more & more customers, WT Precision Ind Co., Ltd was established in Kunshan, where is near Shanghai, China. The facility and administration is good enough to supply qualified and volume products to worldwide customers. Direct communication & professional machining technique support help customers improve their product quality and the most competitive price help customers cost down and win more business. As time pass by, Hong Tai always adjusts her management strategy flexibly. Now, Hong Tai manufactures more and more various kinds of metal parts and assembly. WT Precision also has the same quality standard and administration philosophy as Hong Tai's. Hong Tai & WT Precision will continue moving with the age. Hong Tai Precision Ind Co., Ltd.